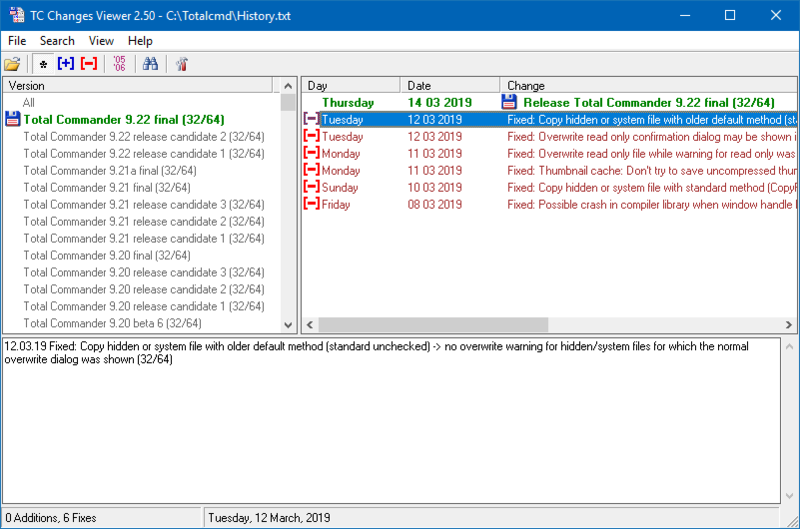 What's new in Version 2.50 Beta 2 --------------------------- Added: Find dialog: when "Use pattern matching" checked, no need to enclose search word between two asterisks. Fixed: Minor bugs. What's new in Version 2.50 Beta 1 --------------------------- Added: New option "Use pattern matching" added to Find dialog. Added: More customization options.